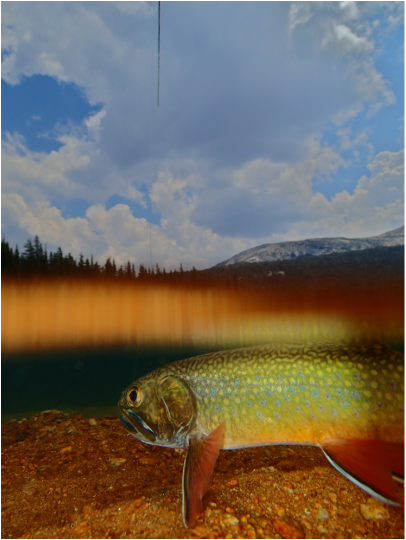 Complete the below form to request a reservation for a Fly Fishing Tour. Professional fly fishing guide, transportation(as stated in Itinerary), fly fishing gear(Fly fishing rods and reels, fly fishing supplies, all flies and waders) and any trip planning help you need from our professional adventure coordinators. Completed trip registration forms, park admission or your park pass if you already have one, California fishing license, snacks and water(at least 32oz), comfortable footwear and extra socks, personal clothing(Neutral colored, layered clothing; including wind/rain jacket) and a camera. A custom ordered backpackers lunch is provide for all anglers that book any of our fly fishing trip (Excluding our Half Day Fly Fishing Trip). We do advise guests to bring extra snacks just in case. Expect to hike and/or fly fish on rugged terrain. This is where preparation and training is very important so you can maximize the enjoyment and success of your trip. We recommend doing some cardio exercises at least a few times a week prior to your trip so your body will be ready to take on the task at hand.